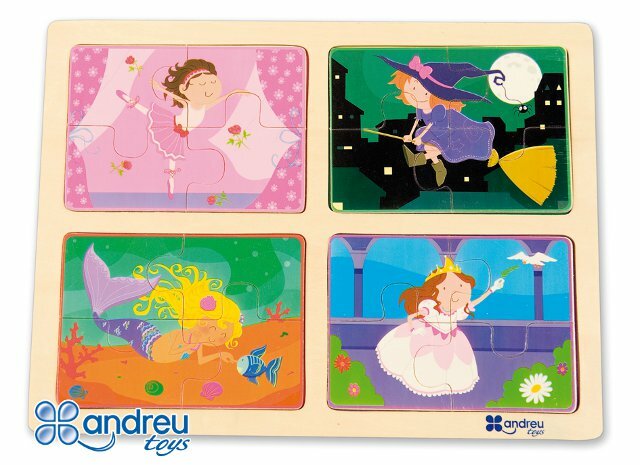 Consisting of 4 puzzles of 4 pieces each, with drawings of a ballerina, a witch, a mermaid and a princess. Background scene printed on the board, to simplify association. Made of wood. It contains sixteen pieces.